Enjoy an amazing and well-deserved foot massage on your own time now. 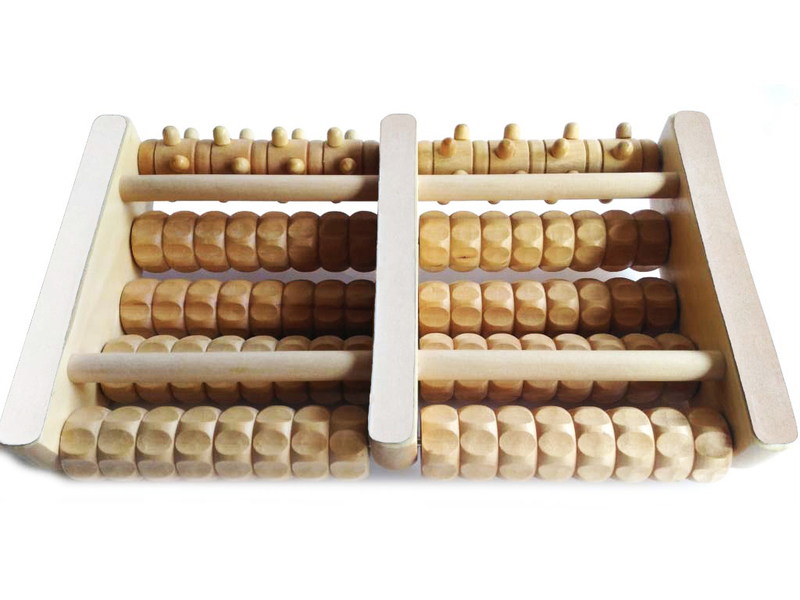 This must-have wellness gadget is made up of ten wooden cilinders, designed for maximum relaxing effect. Give your feet a treat by moving them back and forth over the rolls. 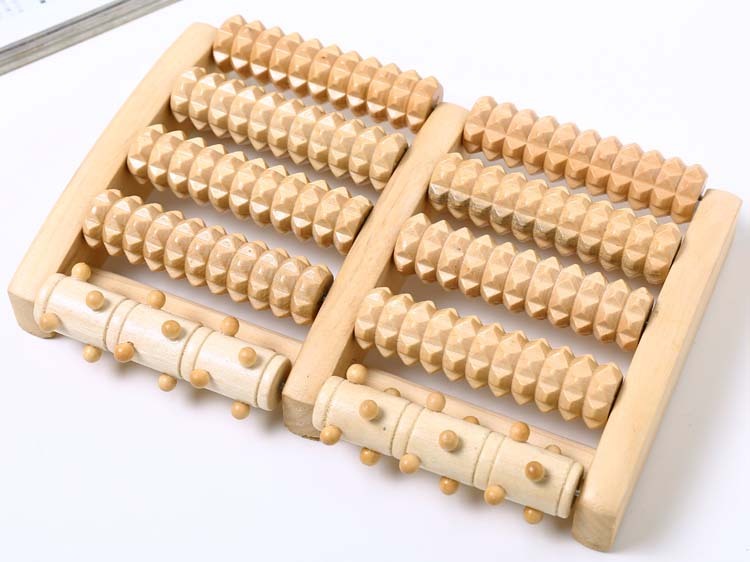 Or press them firmly into the wooden shapes for an even more intense massage. 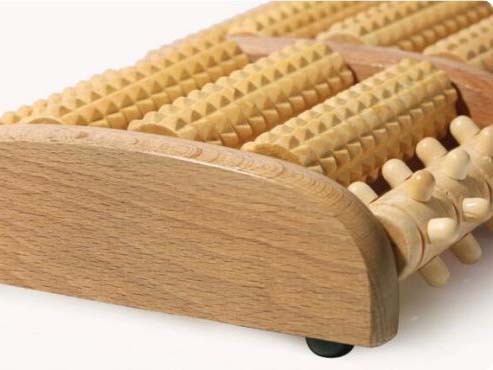 The foot massage roller is made from cherry wood, is fit for all foot sizes and works on your skin as well as your muscles. Its compact shape makes it perfect for carrying along. So let the good times roll, wherever you go! 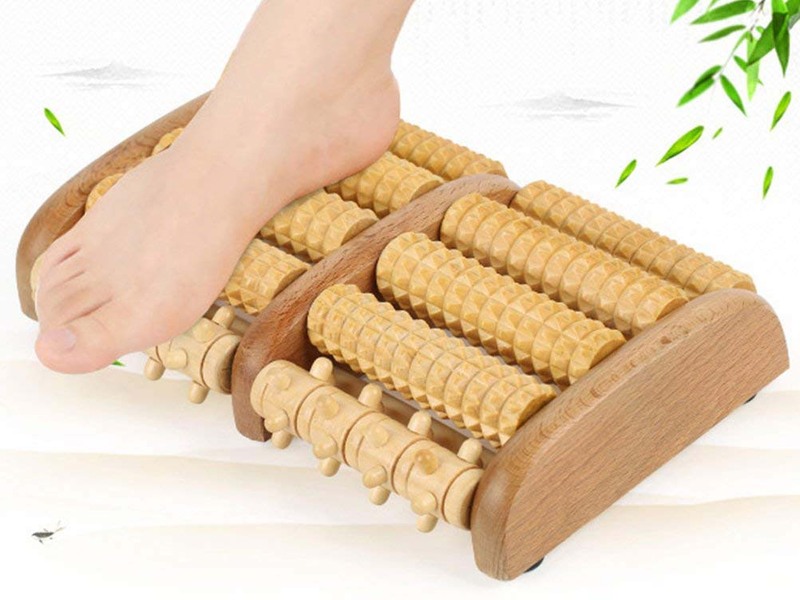 Painful or tired feet will bother you no longer!